Obtain Multiple Benefits from GentleMax Pro® Laser Treatments in Temecula, CA! There are several lasers that may be used to promote specific results. The GentleMax Pro®, in combining two of the most powerful forms of laser therapy, achieves more in a shorter period of time. The Nd:YAG 1064nm laser has been proven safe and extremely effective at treating areas of unwanted hair. The 755nm laser, as well, affects hair follicles for a permanent reduction in hair growth. Together, these two lasers form a "power couple" through which the skin is not only smoothed from unwanted hair but also tightened and toned. The delivery of specific wavelengths of light to the skin affects the cells that lie beneath the epidermis. Here, accumulated melanin absorbs the light as heat, causing pigmentation to shatter. Depending on the severity of pigmentation, it is possible to see noticeable results after your first treatment. 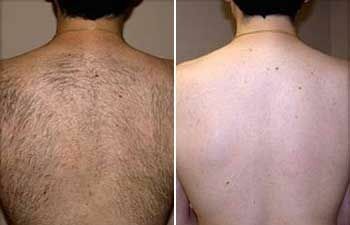 Due to the effect of light energy on pigment, unwanted hair can be permanently reduced with the appropriate number of GentleMax Pro® treatments. During each treatment session, pulses of light are directed at the skin. Transferred to heat in pigment, light vaporizes hair within each follicle. Additionally, the effect of heat within follicles gradually renders them incapable of producing hair. The incorporation of built-in cooling in the GentleMax Pro® device facilitates comfort through this process. Most patients feel only a bit of warmth or a "snapping" sensation during laser hair removal treatment. Laser hair removal with the GentleMax Pro® is safe and effective, causing no disruption to skin cells on the surface. The effect of laser energy takes place in deeper layers of tissue and inside individual hair follicles. Due to the cycle of hair growth, several treatments are needed to produce lasting results. In a series of sessions, your experienced practitioner sees you through the entire hair growth cycle and into your smoothest, most attractive skin. The combination of laser energy contained in the GentleMax Pro® is what makes this treatment so incredibly special. Reaching beyond the epidermis and into deeper cells, the combined energy of the 1064nm laser and the 755nm laser excite collagen-producing cells to increase their level of activity. Collagen is a vital substance to the supportive matrix of fibers beneath the skin. As we age, our body makes less of this substance, resulting in fine lines, wrinkles and sagging that makes us look and feel older. Encouraging the increased, ongoing production of collagen, laser treatments produce gorgeous change, taking years off of the face. We are fortunate to have the latest non-surgical skin rejuvenating technology at our fingertips. The skilled use of the GentleMax Pro laser system enables our clients to achieve skin that is smoother, more supple, more youthful. It's time to reveal your inner beauty! Contact Dr. J's Elegant Reflections Med Spa today for your consultation and skin analysis. ​ "The Gold Standard For Hair Removal"